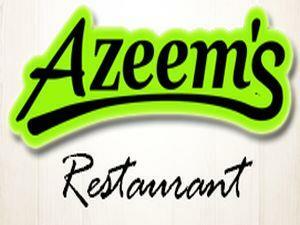 Azeem's01535 681212work Restaurant - IndianSpecialising in traditional, home-cooked Asian cuisine, using natural fresh ingredients, Azeem's has become a popular venue for visitors, especially those from villages around Keighley and West Yorkshire area. Established in 1987, in the heart of Leeds, the renowned Nafees restaurant made a reputation by winning innumerable awards due to the quality of its food and service. It is this very quality and expertise that our management and chefs have brought to Azeem's. With over twenty years of experience we guarantee quality food and service at the highest standard. Specialising in traditional, home-cooked Asian cuisine, using natural fresh ingredients, Azeem's has become a popular venue for visitors, especially those from villages around Keighley and West Yorkshire area. Friday - Saturday 6pm - 1am.